We are your source in the Concord area for quality swimming pool filters and expert advice about their care. All sorts of things end up in your swimming pool despite your attentiveness at keeping debris out. Some things you can’t even see but you really do not want in your pool. That is where quality swimming pool filters come in. There is another reason why you want your filter to be high-quality – it will last longer. Here at Cayman Pool & Spa, you can count on us for the best swimming pool filters available on the market. We also make sure to have the shapes, sizes, and types for the many different filter housings there are. Our experienced staff is here to help with selection, as well as to answer your questions about prolonging the life of swimming pool filters and how to tell when they need to be replaced. In addition to providing replacement swimming pool filters, we also offer full-service pool maintenance, which includes cleaning your pool and the filter on a set schedule that fits with what your pool needs. 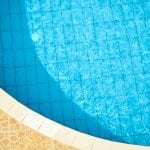 Every pool is different in terms of how long the filter can go between cleanings and replacement, but our experienced staff will set up the appropriate schedule for you. When you need advice about swimming pool filters, water balance or anything else to keep your pool at its best, you can count on our experience to help. We have served the Concord, North Carolina area for over a decade, so you can rely on our expertise and dedication. When you want the clearest and safest pool water for you and your family, turn to us for help. At Cayman Pool & Spa, we sell swimming pool filters to residents of Mooresville, Concord, Cornelius, Davidson, Harrisburg, Huntersville, Kannapolis, Statesville, Troutman, and the Lake Norman area of North Carolina.